I grew up in NE Ohio and then went to college in Columbus, so my time exploring anything west of I-75 has been basically non-existent. I’m so glad I attended the Midwest Byways Conference and learned more about Mercer and Auglaize Counties in Western Ohio- prompting our trip! Families visiting this area will not be bored! We spent two jam-packed days in the area and could have used another. 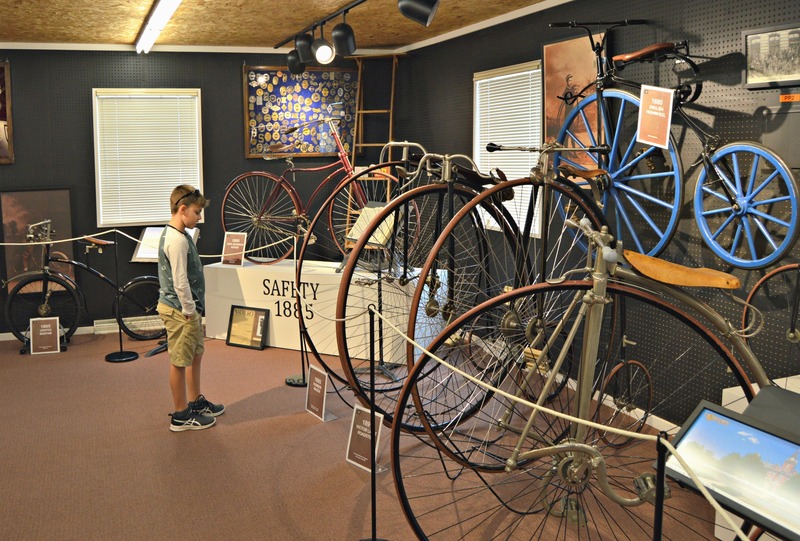 The Bicycle Museum of America is located in downtown New Bremen, Ohio. In 1997, the owner of Crown Equipment went to Chicago and purchased the entire collection at an auction in the hope to bring it back to his hometown. 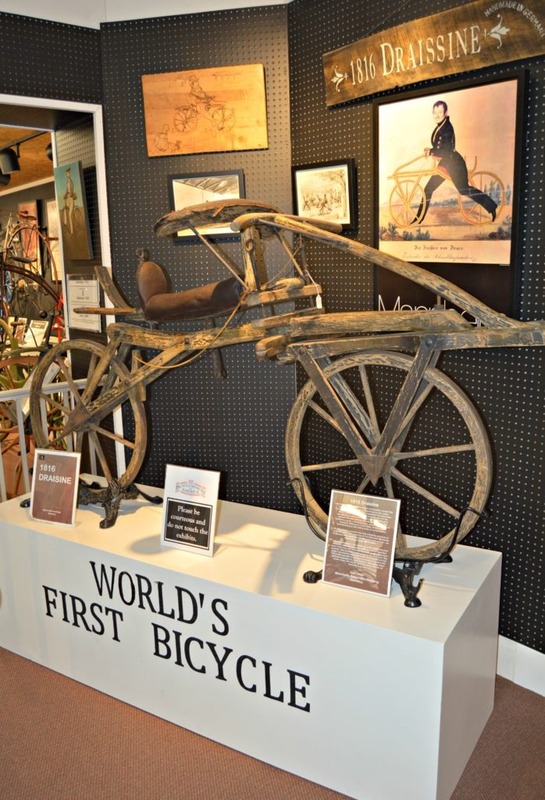 The museum contains three floors of exhibits showing the history of bicycles. The collection holds the world’s first bicycle, a Draisenne from 1816. Also among the collection are military bicycles from WWII. Newer bikes of interest are from the movie, “Pee Wee’s Adventures” and those of actor Robin Williams. Tips for families: Interactive displays are the biggest hit among young children. 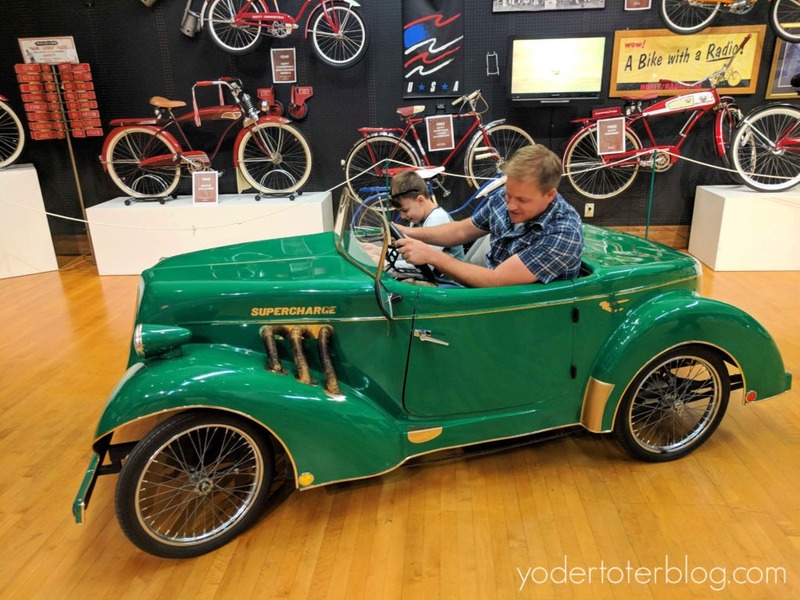 Our children’s legs weren’t quite long enough to pedal the high wheel bike, but my husband and I had a fun attempt! On the third floor, children can help pedal a car and try a scooter. If kiddos are getting antsy, I’d head straight to the 3rd floor. It’s excciitttinggg- we loved learning about space! A smalltown boy from Wapakoneta, Ohio made it all the way to the moon. Now, the hometown museum that bears his name draws visitors from all over the world. 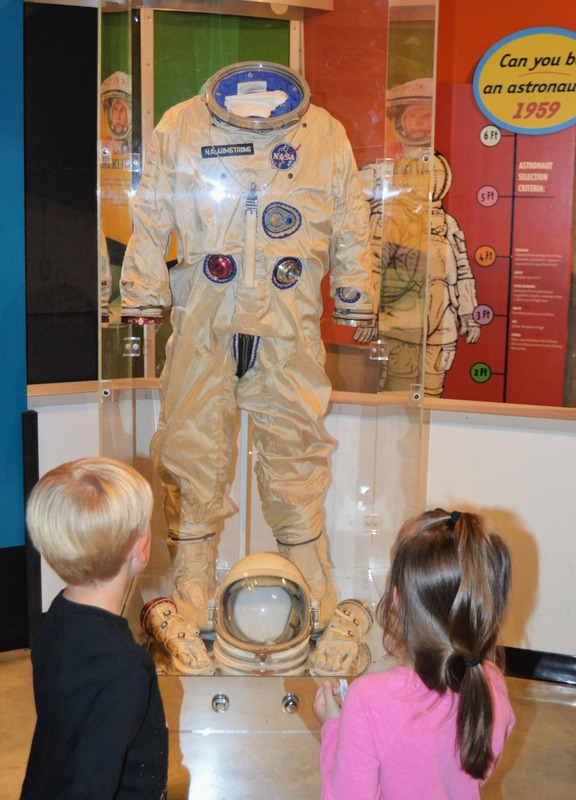 The Armstrong Air and Space Museum chronicles everything from the life of Neil Armstrong, the race to space between the USSR and the USA, and other Ohio astronauts like John Glenn. After the opening exhibits, visitors enter the centerpiece of the museum- the dome- and watch a 25-minute video documentary on what it took for NASA (and Neil Armstrong) to make it to the moon. Following the video, try one of three simulators. You can attempt to land a lunar module, work in zero-gravity, or dock the Gemini capsule. Tips for families: This is a convenient museum to visit with kids. There is a ramp in and out of the theatre so you could have a little one in a stroller. Our youngest, age 4, found things that kept her engaged. Before visiting, I’d talk to kids about space and get them excited about learning more. The video documentary does share about the death of 3 astronauts prior to the Apollo 11 mission. Extra sensitive ones might find this to be anxiety-producing. 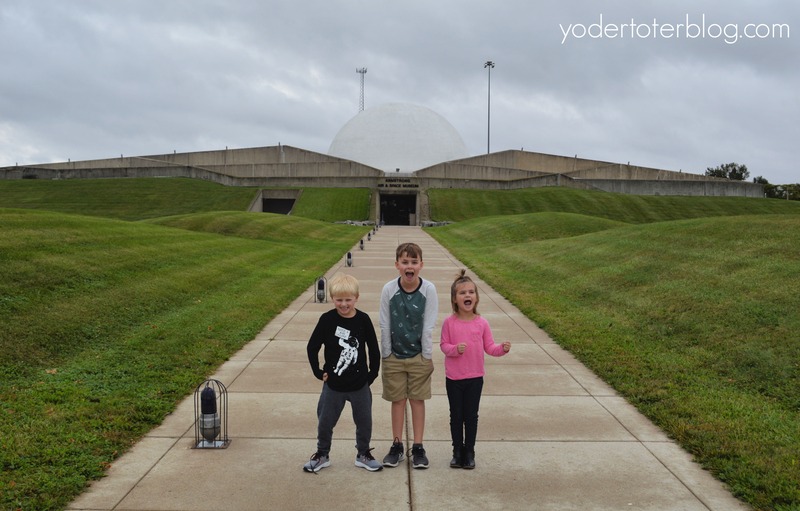 We were surprised to find that this part of the state contains a pivotal part of Ohio and American history. After the Northwest Territory was ceded to the US in the 1783 Treaty of Paris, the Native Americans felt the agreement was unfair as they would lose so much of their lands. On November 3, 1791, General St. Clair brought 1200 men near Greenville, Ohio. The next morning, Little Turtle and nearly 2000 Native American warriors attacked the front line and in just 3 hours over 600 men, women, and children were dead. This battle, known as St. Clair’s defeat, put the future of the newly-formed United States at risk. The American army could not hold onto one territory, while most of the US officials felt like each state should have to have its own army. Three years later, American troops came back to this area and built a fort by the name, “Fort Recovery.” The Fort only took 4 days to build! 150 soldiers called the fort “home.” But on June 3, 1794, Native Americans attacked the fort again! This is the only time in U.S. history that Native Americans made a full frontal attack on a US fort. This time, the Americans were successful. It was after this battle that the Treaty of Green Ville was made and a boundary line was established, which runs through the Fort Recovery Grounds. This was the beginning of the end of Native Americans inhabitation of this area. The Natives were pushed to the north and the west. 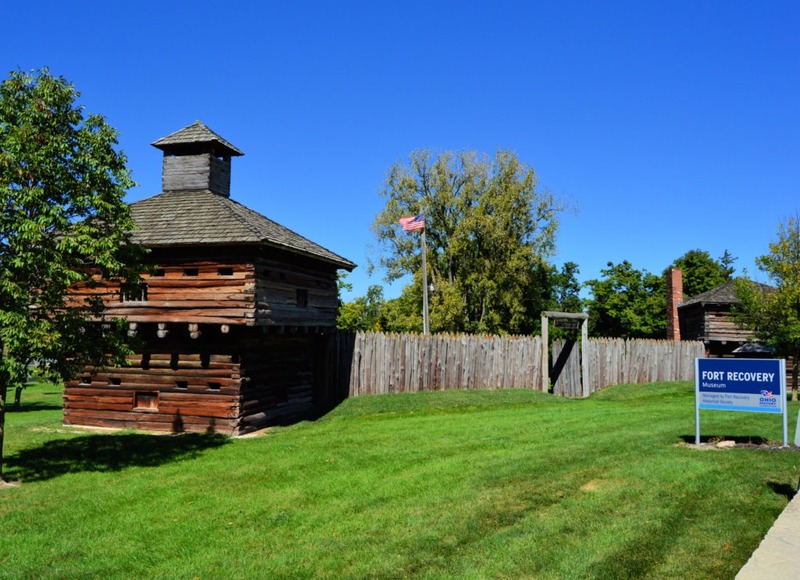 The Fort Recovery Museum details the battle through a video, interpretive center, artifacts, and a children’s play area. There is access to the blockhouse, blacksmith shop, and log cabin. 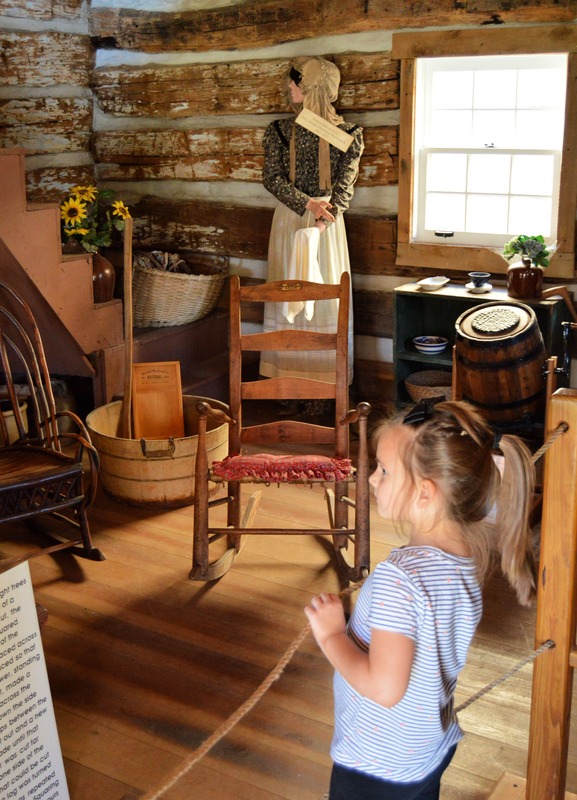 Tips for families: Sadly, the Fort Recovery Museum is only open May-October. Check the website for opening days and times. Allow 90 minutes to view all areas of the museum and outbuildings. There is not an elevator in the museum or blockhouse, so this isn’t the place to bring a stroller. Make sure you allow time for play in the basement. Our children enjoyed dressing up in colonial and Indian costumes and building a block house with the Lincoln Logs. A mural depicting St. Clair’s defeat. Artist Dan Keyes was putting the finishing touches on his artwork and stopped for a photo. The historical park also contains two murals – a new one depicting St. Clair’s defeat, and another depicting the Battle of Fort Recovery. Both murals were painted by local artist, Dan Keyes. 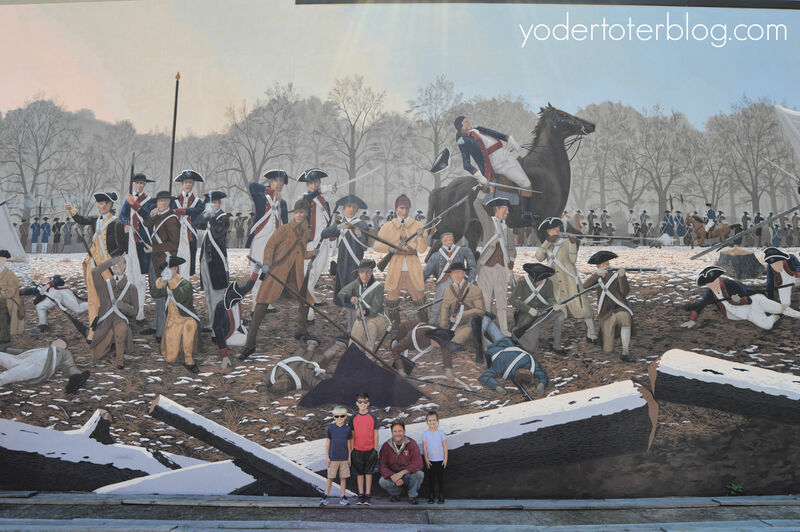 The mural depicting the Battle of Fort Recovery shows a Chickasaw and Choctaw warrior fighting with the American army against the Shawnee and the Miami. Make sure to allow time to walk through downtown Fort Recovery and visit the other murals by Dan Keyes. At the corner of Boundary Street and Wayne St is a mural depicting the area’s first mail drop. 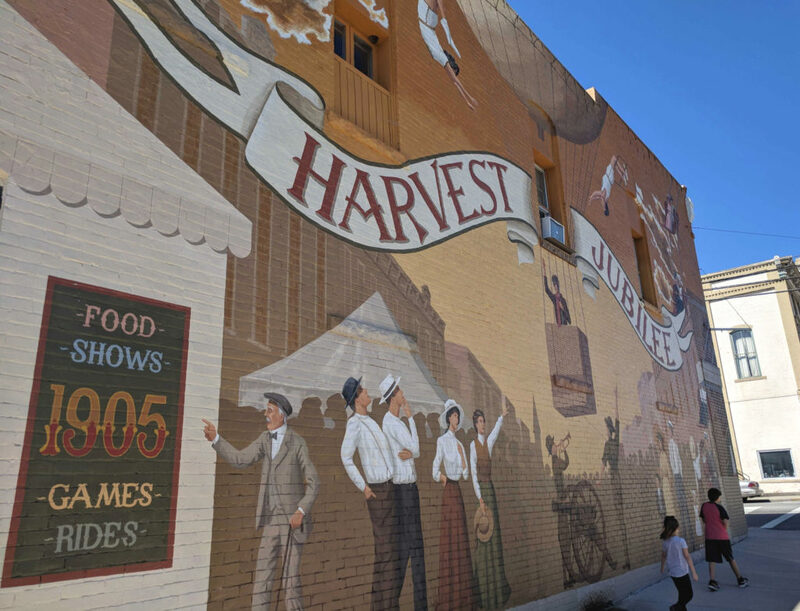 At the corner of Wayne and Butler Streets is one of my favorites- a mural celebrating Fort Recovery’s Harvest Jubilee. The big draw to Mercer & Auglaize Counties is Grand Lake St. Marys. Even if you don’t participate in water sports, the lake can be the centerpiece for walking, running, or biking. 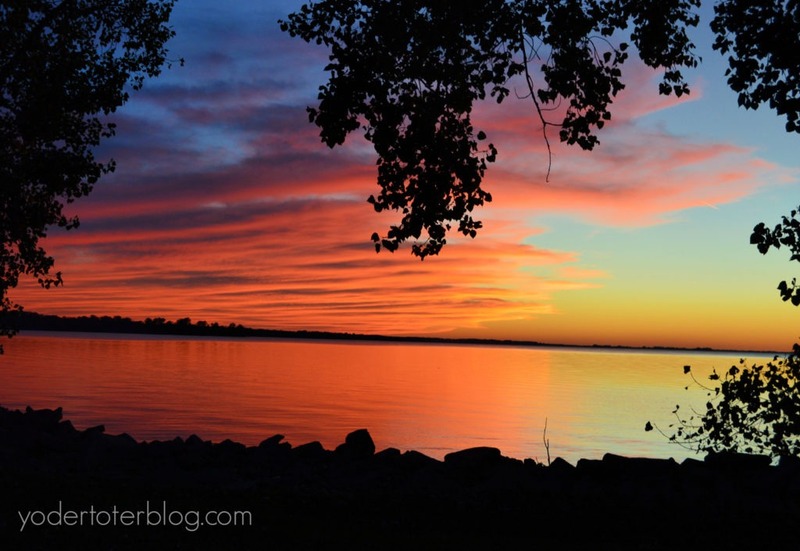 St. Marys State Park offers pavilion rentals, a small playground, and a magnificent view of the sunset! 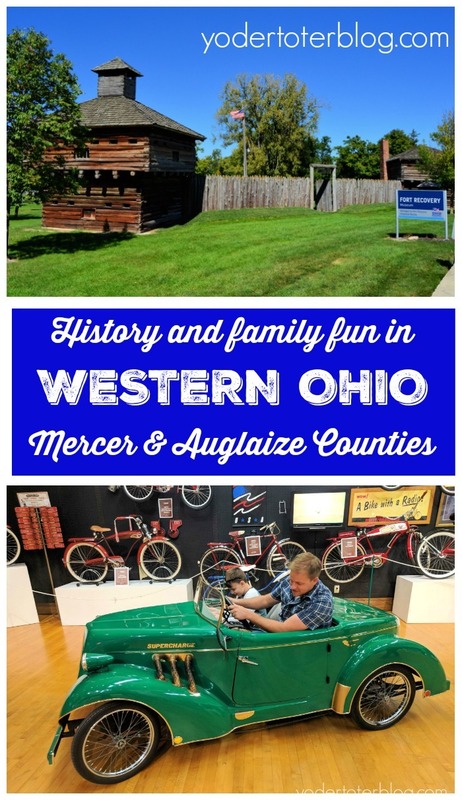 Looking for other things to do in Mercer & Auglaize Counties and traveling with kids? Make sure you check out the playgrounds! C. Geiger Park is in the city of St. Mary. The park has baseball fields, a mini-golf course, and an excellent playground. Pack a picnic and enjoy lunch while watching your children play. When visiting The Bicycle Museum of America, make sure you walk along the Canalway behind the museum to Komminsk Legacy Park. This is an area for children as well as adults. There are climbing structures, musical instruments and a splash pad (in summer months). 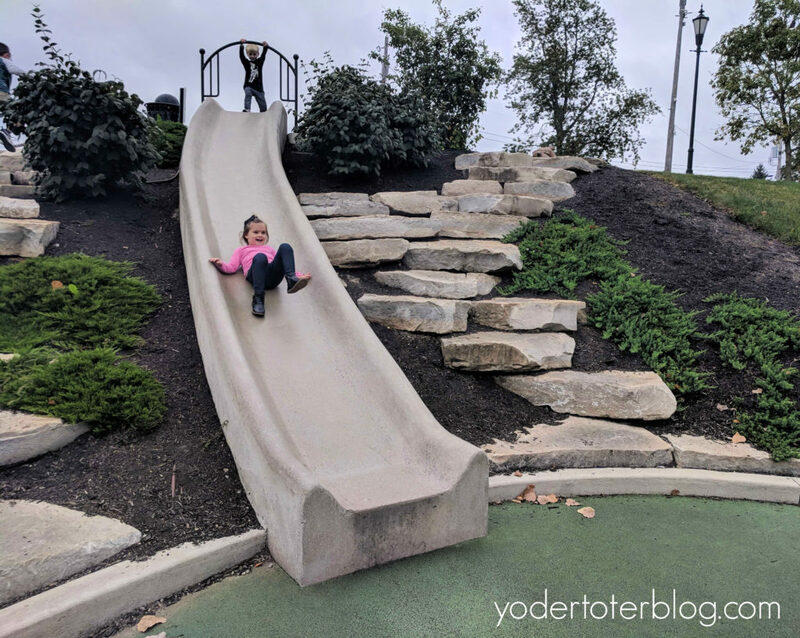 Our children loved the cement slide! It’s much speedier than it looks! Mercer & Auglaize Counties are home to great restaurants. This is just a small taste of what you will find. J. Maries (Wapakoneta) – An industrial-themed eatery specializing in wood-fired pizzas. Everyone on staff was super sweet and accommodating. 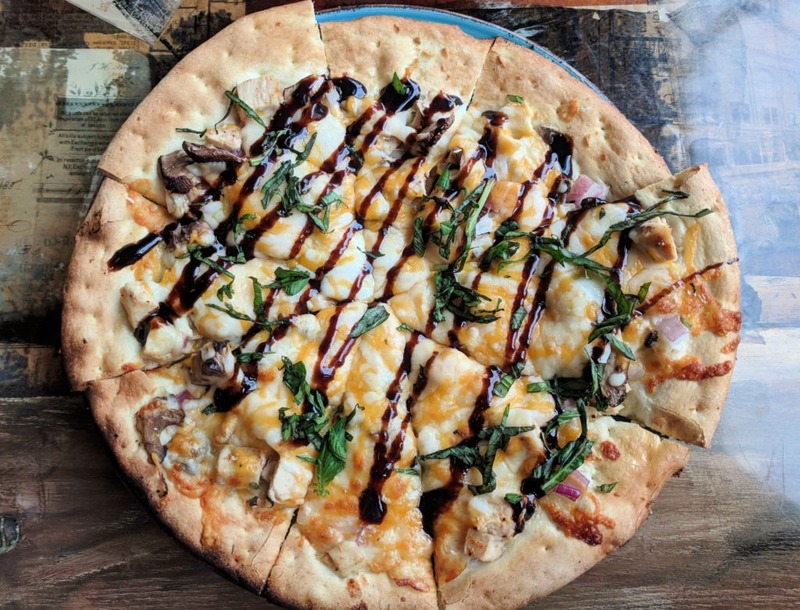 Beer Barrel Pizza and Grill – This St. Marys establishment serves up all of your favorite pub foods. Multiple TVs guarantee you don’t miss a sporting event and they offer a substantial kids’ menu (as if the pizza wasn’t enough). Lake City Creamery (Celina)- Possibly the best ice cream I’ve ever tasted! The portions are HUGE and they do offer kid-sized cones or cups! Must-visit. We chose to stay at the Best Western Celina. Our spacious room included bedding for 6 – 2 doubles and a sofa bed. The indoor pool and included breakfast were of top priority because of traveling with kids. The only negative I had was that the WiFi wouldn’t connect. The staff was very helpful and friendly in regards to check-in and breakfast! I would recommend this hotel when staying in Western Ohio or the Grand Lake St. Mary’s area. Check current rates HERE.